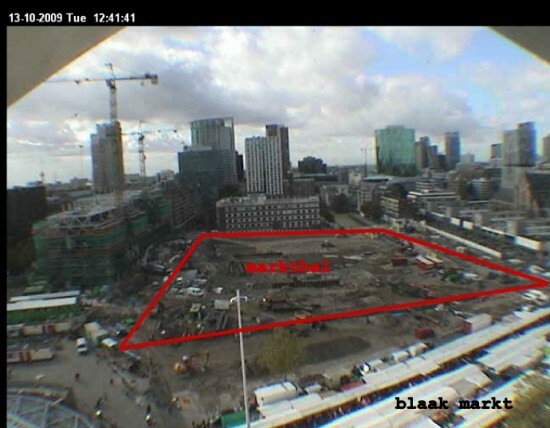 Rotterdamgo Markthal azokaren eraikitze lanak astebete darama ofizialki martxan. Pantaila horma eraikiak bazeuden ere Azaroaren 18an egin zen obra inaugurazioa. Pilotaje sartze lanak zuzenean jarrai daitezke webcam baten bidez. 2014an bukatzea espero da eta 175 milioi euroko aurrekontua du. Proiektua MVRDV estudioak egin du eta azokek estalki bat edukitzera behartzen duen lege berri bat abiapuntutzat hartuz tipologia berri bat bilatu da. Azoka espazio zentraltzat hartuz 228 apartamentuko arku batez inguratzen da. Astearte eta larunbatetan Markthal Blaak inguruan egiten den azokaren zabalpena izango da. The Why Factory ‘think tank’ global urbano eta ikerketa institutu bat da, Arkitektura Fakultateak, Delft University of Technology eta MVRDVk zuzendua, Winny Maas buru delarik. 2008an hasi zen arkitektura eta urbanismo lanbidearen arrazoiketa indarra indartzeko nahirekin. 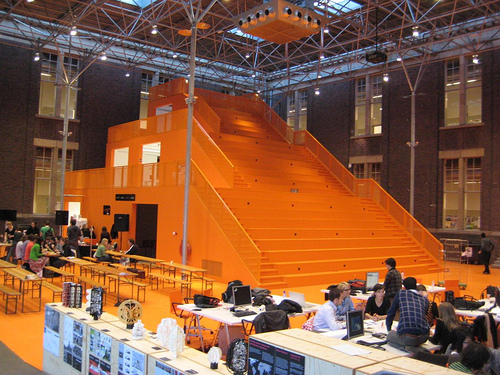 The Why Factory is a global urban think tank and research institute, run by Faculty of Architecture, Delft University of Technology and MVRDV, led by Professor Winy Maas. It started in 2008 with the ambition to enlarge the argumentative power of the architectural and urbanistic profession. Pariseko kaleak museo bateko arte kontenporaneo erakusgela bihurtu dira gau batez. 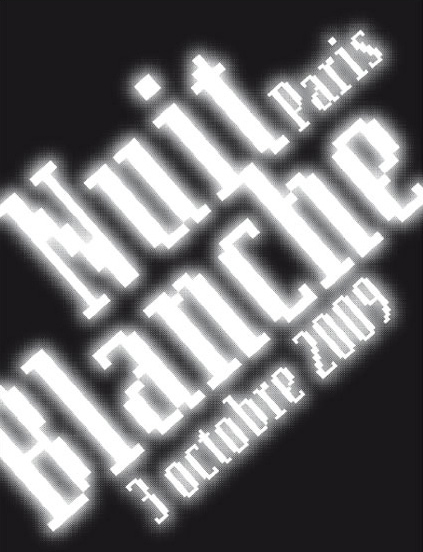 Pasa den larunbatean Nuit Blanche 2009 edizioa ospatu da. Pariseko kaleetan zehar filmak, performanceak, era guztietako instalazioak… egon dira ikusgai. Hiru ibilbide zeuden antolatuta: Buttes-Chaumont, Châtelet-Marais eta Quartier Latin. Jendeak ez du Paris, ekitaldiz-ekitaldi, beste era batera ezagutzeko aukera galdu. Antolatzaileen arabera 1.5 milioi bisitari pasa dira astebukaeran. Zenbait puntutan bi ordutako ilarak egon dira. Publikoak hiria gauez erabiltzeari ondo erantzun badio ere, hiriak ez du hain ondo erantzun. Metroko bi ibilbide bakarrik irekita eta ondorioz hiru eremuak lotzeko zailtasunak, eta tabernak eta lokalak ohiko ordutegietan itxita. The theme of the 4th International Architecture Biennale Rotterdam is the Open City, a city that is diverse, lively and socially sustainable, where people can productively relate to each other culturally, socially, as well as economically. 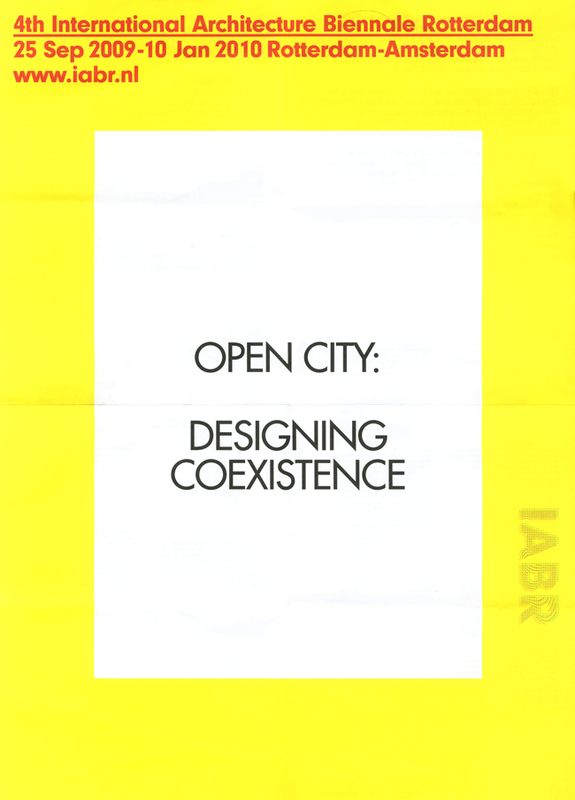 More specifically, with the theme Open City: Designing Coexistence, the 4th IABR raises the question of social cohesion in the city from the point of view of its designer: how can architects and urbanists make realistic contributions to the sustainable quality of the urban condition. With three exhibitions, a unique collaboration with a public broadcaster and an extensive side program of lectures, film screenings, debates, workshops, an international master class and other events, the fourth edition of the International Architecture Biennale Rotterdam (IABR) embraces the theme of the Open City, a city that is diverse, lively and socially sustainable, where people can productively relate to each other culturally, socially, as well as economically.